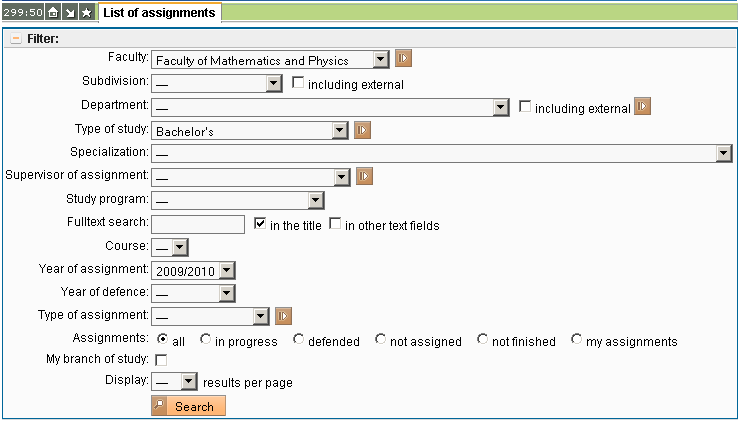 The module Thesis serves for displaying announced topics of diploma thesis and assigning the topics to student. The students can add an annotation and a solution to the topic assigned to them. In the List of assignments you can choose the topics to work with. Set your requirements into the filter. The topics must satisfy all criteria set into the filter simultaneously.